Have you ever wondered what's going on in your poop? Perhaps not. But this is precisely what we think about every day at the American Gut Project, the world's largest microbiome citizen science effort, located at UC San Diego School of Medicine. And we don't just think about it. We develop new cutting-edge analytical methods – in the lab and on the computer – to analyze the DNA and molecules that microbes make while living in your gut. Anyone can send us their poop, and we'll tell them what's going on! But this probably still sounds pretty weird. Why would we want people to send us their waste? After all, normally you just flush it down the toilet. As it happens, the microbial ecology and molecular landscape of poop is incredibly complex, and we're just starting to discover which microbes are critical to your health and why. Microbes are responsible for breaking down the fiber in your diet, and they produce critical nutrients, including one called butyrate that feeds the cells lining your gut. In the past decade, we and other researchers around the world have uncovered the consequences of disrupting this community of microbes on the incidence of disease. 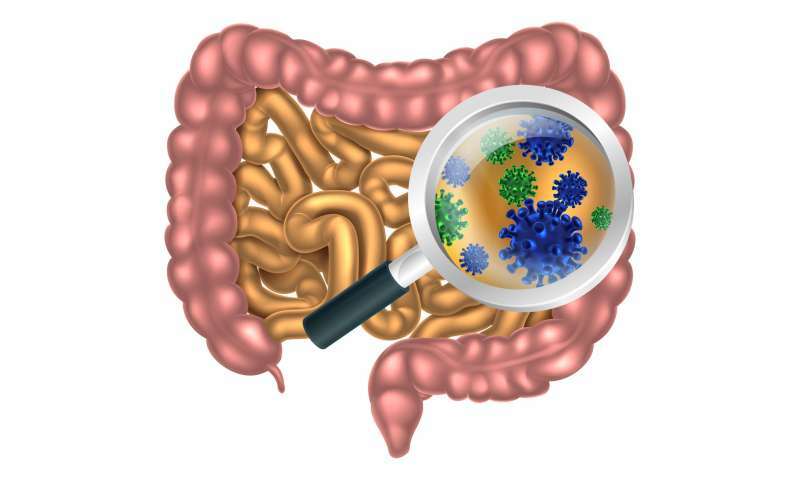 Diseases linked to the gut microbiome now include obesity and Kwashiorkor (a severe form of malnutrition), liver disease, heart disease, and perhaps most surprisingly, even depression and Parkinson's disease. However, these studies focused on carefully selected individuals, which potentially excludes other kinds of microbes found in more diverse populations of people. And so we're actively seeking out as many different kinds of poop samples as we can, collecting the lifestyle and health details from each participant, so we can uncover unknown connections between microbes and health and disease. In our first major publication, we describe what we learned from more than 10,000 participants. For these samples, we decoded the DNA of the bacteria and archaea, another microscopic inhabitant, in each stool sample to get an idea of the types of microbes present and their relative abundance. On a few hundred especially interesting samples from participants that spanned extremes of plant consumption and antibiotic use, we also examined the types of genes and molecules present. After stripping all personal identifiers, we then deposited the data into the public domain so any researcher, student, educator, physician or patient can reuse them and build on the results. One of the most exciting discoveries was that the greater the variety of plants in someone's diet, the greater diversity of microbes in their guts. Even more exciting was that not only were the microbes dramatically different between those who ate few versus many plants, but the repertoire of molecules these communities produce varied wildly. The gut bacteria of those who eat more types of plants could breakdown foods using alternate routes of metabolism and produce different types of molecules. This is a big deal because we didn't think that consuming a variety of plants had a significant impact on the gut. But the data show otherwise. We also took a close look at individuals who reported taking antibiotics the week before sending us their sample, and compared them to stool from individuals who hadn't consumed antibiotics in the past year. Unsurprisingly, the microbial diversity from recent antibiotic takers was drastically reduced. But, unexpectedly, there were more types of molecules present. In this case, these molecules appear to be linked to exposure to antibiotics. We need to understand what these chemicals are and what are they doing to our bodies and to our microbes. We aren't sure why there is a jump in the diversity of chemicals when there are fewer types of microbes present. That's just another one of many mysteries we must now explore. But we found something even more unexpected and disturbing. We could detect agricultural antibiotics – those fed to animals like chickens and cows – in many people who claimed they hadn't taken antibiotics in the year prior to their sample collection! Unfortunately, although we have at least one sample from each of dozens of countries, for most countries we have few or no samples for this project. So we're actively working with collaborators all over the world right now, so we can figure out how to translate results between populations in general and address some of the most important chronic diseases facing humanity today, such as metabolic disorders. To do this, we're starting a new effort called The Microsetta Initiative, of which the American Gut and British Gut Projects will be a part.